Welcome to the running experience of a lifetime. Athletes like you can make history as a continuing new breed of Arctic adventurer. 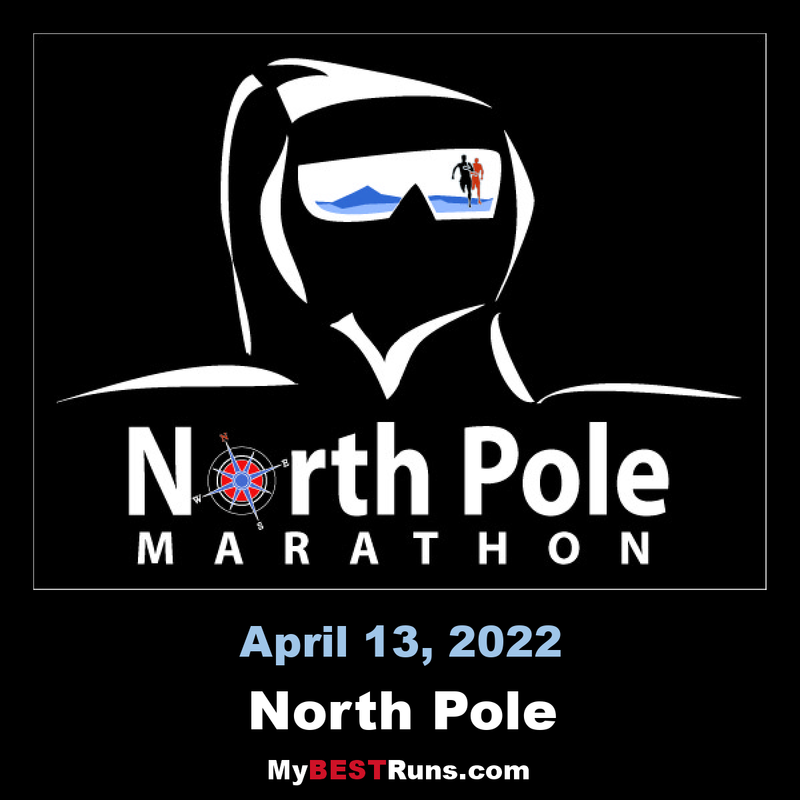 By competing in the World’s Coolest Marathon, the North Pole Marathon, you can become one of a truly select few to race at the top of the world - at the Geographic North Pole. And you will feel on top of the world when you manage to overcome the extreme sub-zero temperatures to finish 26.2 miles in one of the remotest parts of the planet. North Pole Marathon takes place from a drifting North Pole camp, which floats about the North Pole between 89N and 90N. The North Pole is not situated on land, but on the Arctic Ocean. Athletes will therefore be running ‘on’ water…frozen water! Runners will be running on an ice sheet some 6 – 12 feet thick above 12,000 feet of Arctic Ocean on the top of the world. The race is an annual fixture on the international marathon calendar and 215 people from 34 nations have successfully completed the event. 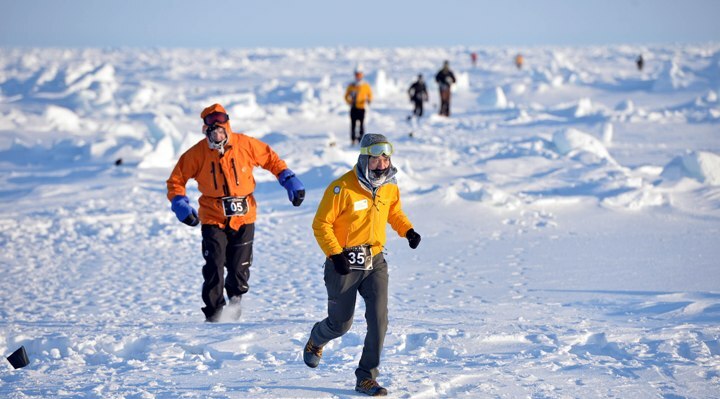 It is recognized by Guinness World Records as the Northernmost Marathon on Earth. The North Pole Marathon will also feature an exciting team challenge, with the title decided by the cumulative time of a team's first three finishers. Whether comprised from an army division, company, athletics club or charity, your team can enter this contest. This amazing race will additionally offer athletes who have completed a marathon on all seven continents the opportunity of joining the exclusive North Pole Marathon Grand Slam Club by also completing this marathon on the Arctic Ocean.Don’t let this experience of a lifetime pass you by.Your entry fee is all inclusive - return flights from Svalbard (Norway) to the North Pole camp; entry to the official North Pole Marathon; helicopter flights in the polar region; the opportunity to stand at the exact Geographic North Pole; t-shirt, medal, certificate and souvenirs; professional photos and video of the race; and more! The race is run from a drifting North Pole camp, which floats about the North Pole between 89N and 90N. There is a circular route of 4.2 km, if possible, which must be repeated ten times. Leads (breaks in the ice) and safety criteria will ultimately determine the maximum length of the circuit. The finish occurs at the Ceremonial Pole where all the lines of longitude symbolically meet.